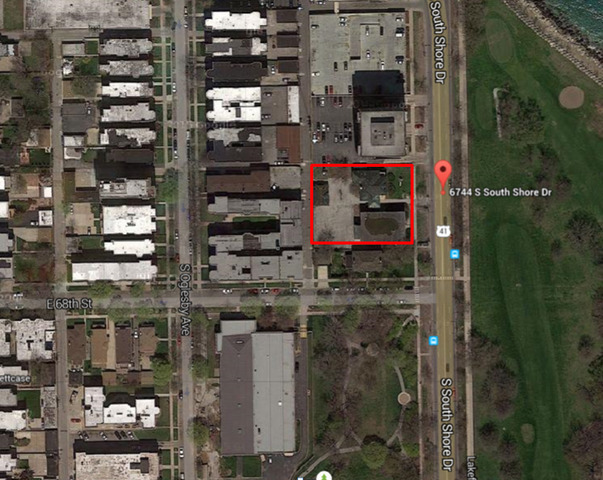 Prime development opportunity on 26,000+/- square foot site in Chicago's South Shore neighborhood with view of Lake Michigan, located near the South Shore Cultural Center, the proposed Obama Library site, and the proposed Tiger Woods-developed golf course! Two pins - each 75 x 179. Zoning unknown. Current improvements include a single family home and two-story building as well as coach house, all in uninhabitable condition. Subject to Court Approval. This is a receivership listing being sold “AS-IS” and requires court approval. Seller provides NO SURVEY, NO INSPECTIONS, NO DISCLOSURES. BUYER RESPONSIBLE FOR ANY & ALL CITY LIENS/VIOLATIONS/INSPECTIONS, CITY REPAIRS & CITY ESCROWS. Any rooms size/count, Lot Size, Year Built, Taxes, and Details not guaranteed. Please contact listing agent for full package including seller's required Purchase and Sale Agreement. All offers must be submitted on seller's Purchase and Sale Agreement with proof of funds and the Know Your Buyer form.